$10 for all three shows and a full day of Ashland Main street fun! 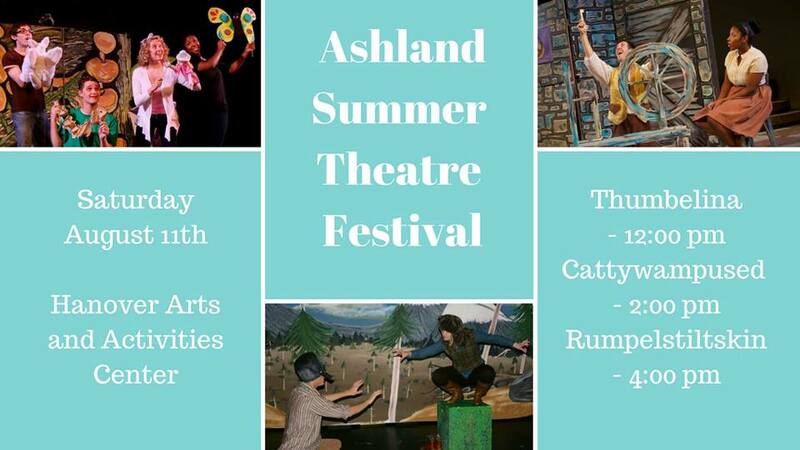 The Whistle Stop Theatre Company presents the second annual Ashland Summer Theatre Festival! Bring the whole family to see productions of Thumbelina, Cattywampused and Rumpelstiltskin. In between shows enjoy crafts, games and deals put on by Ashland Mainstreet! Just $10 for a full day of fun!